A sweet surprise for all of your wedding guests! Family and friends will marvel at the shimmering gold foil and lavish letterpress printing featured on these thank you cards. Your initials are printed in your choice of color and font. 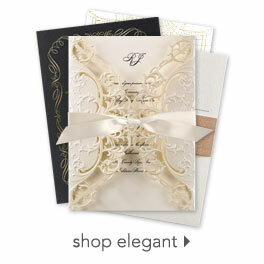 These letterpress thank you cards are printed on 110 lb, white premium cotton paper and include 100% cotton envelopes.